sun, 5 may 2019, Santiago Bernabeu. * The final date and time are confirmed 4-10 days prior to the match date. If in doubt please check the club website. * You will always be seated amongst the home supporters. * You need to print the booking confirmation we send to you by e-mail, and bring a copy with you to Madrid. If you have tickets for Real Madrid, you need to exchange the booking confirmation for your match tickets at our local agent in the centre of Madrid. If you have tickets for Atletico Madrid you will need to exchange the booking confirmation fo your match tickets at their stadium, Vincente Calderon. The opening hours and all the relevant details will be clearly stated on the booking confirmation. * Please, read the following Terms and conditions carefully, before you complete your booking. 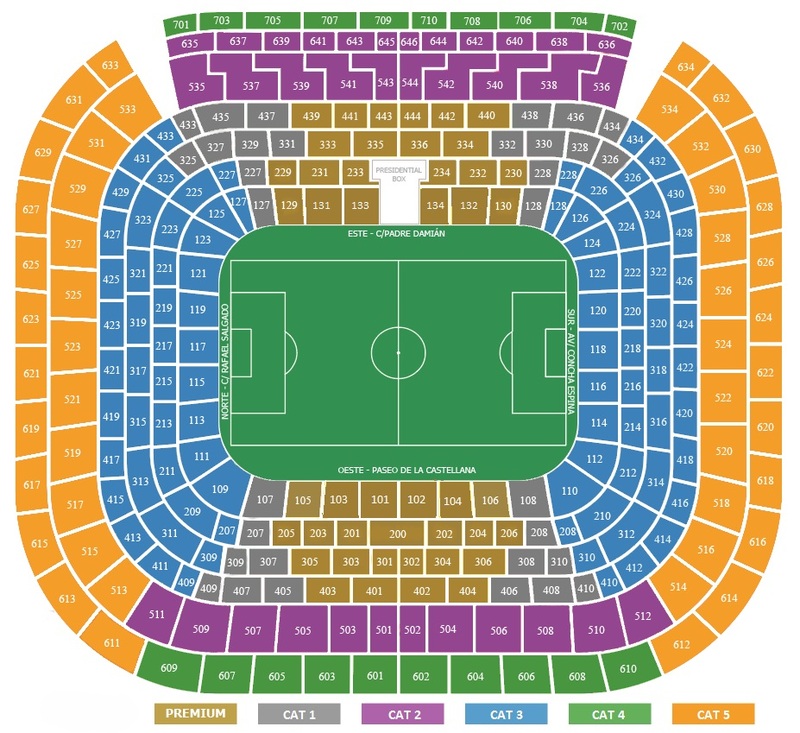 Below you can see more about the seating and categories you can book for your football match. VIP BOX 5008: The Private Box 5008 has a capacity for 10 persons, situated on the long side of the Santiago Bernabéu Stadium, is spacious, comfortable, and offer access through VIP Area exclusive elevators. Open bar, canapés & tapas is inclusive when booking seats in Private Box 5008 and is open from 1 hour prior to the match and up to 30 min. after the match. The Box is behind glass, and has a TV so all situations can be studied and discussed in slow motion. 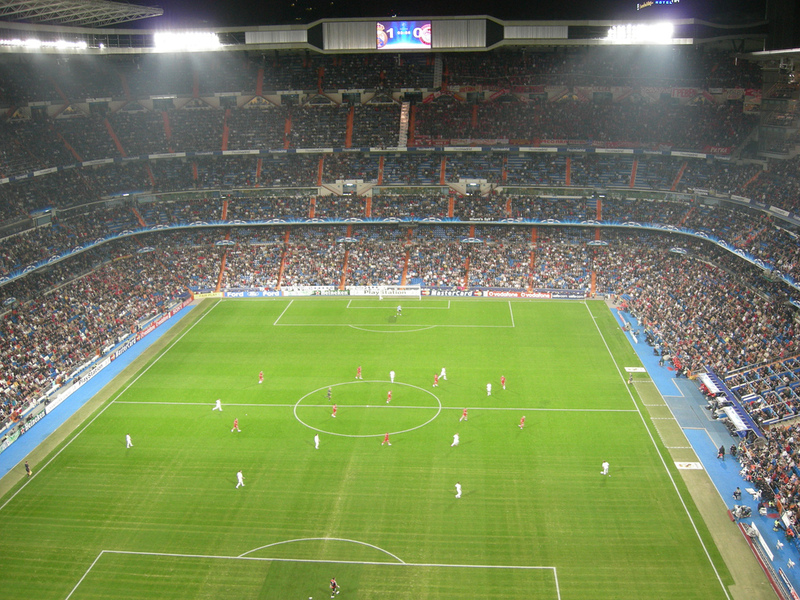 The windows can be opened at the top, and you have free access to come and go from the Box as you like, so you can get the feeling of Santiago Bernabéu Stadium! VIP SEATS SECTION 108: Is located close to the pitch in Section 108, which are located in the Lower Main Stand of the West Stand. They make one feel right on the pitch and feature an exclusive catering area in the emblematic Museum room featuring the football team’s European Cup trophies. Fully inclusive of all food & drinks during all the game: -All drinks and tapas, canapés are inclusive. - It is open from 1 hours prior to the match up to 30 minutes after the match. - Food and drinks are served prior, interval and when match ends.